Janus Rock is a small, isolated island off the coast of Australia. When World War II veteran, Thomas Sherbourne is hired as the island’s lighthouse keeper, he is happy for the solitude. Memories of the war haunt him, but he is grateful that he is one of the few men who returned unscathed. The job of a lighthouse keeper requires unimpeachable honesty and impeccable record keeping. It is fundamental to the strict lighthouse keeper’s code, and Tom takes these regulations seriously. At regular intervals, Tom is allowed to return to the mainland for a rest period, and on one such visit, he meets and falls in love with Isabelle. Not only does she agree to marry him, she enjoys living in such isolated conditions on Janus. They are happy together. Misfortune follows and Isabelle suffers miscarriages and gives birth to a stillborn son. Isabelle becomes more and more desperate for a baby of her own. While Isabelle is grieving, a small boat washes ashore. Within lays a dead man and an tiny infant who is alive and well. Isabelle is able to nurse the baby and bonds with the little girl. She convinces Tom to bury the dead man and keep the infant as their own. This forces Tom to lie, to compromise the code of honor he is obligated to enforce. Their decision sets of an incredible chain of events filled with secrets, guilt, and incredible pain. They discover the child’s mother and her haunted search for the infant. The knowledge grates at Tom’s conscience as the years go by. One small act on his part to ease his conscience has disastrous consequences for him and his family. Slowly, he watches helplessly as his family disintegrates. 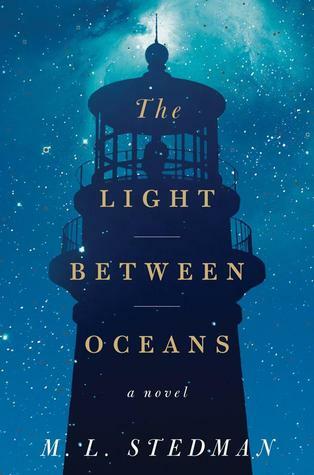 The Light Between Oceans is a deep and thoughtful novel. It explores questions of right and wrong, motherhood, and life and death, delving into human nature and complex moral issues. Each character is presented to the reader in an unbiased, non-judgmental way, leaving the reader to contemplate his or her own values and what they would do in similar circumstances. This novel has much to be praised for – superb storytelling, engaging prose, and a heart-wrenching storyline. The fact that this tale transcends gender, gives it a wide appeal. Not only will this novel move you, but it will linger and haunt you for days to come. Very highly recommended.